These books are the first full-length, comprehensive study written in English of French children’s literature. They provide both an overview of developments from the seventeenth century to the present day and detailed discussion of texts that are representative, innovative, or influential best-sellers in their own time and beyond. French children’s literature is little known in the English-speaking world and, apart from a small number of writers and texts, has been relatively neglected in scholarly studies, despite the prominence of the study of children’s literature as a discipline. This project is groundbreaking in its coverage of a wide range of genres, tracing the evolution of children’s books in France from early courtesy books, fables and fairy tales, to eighteenth-century moral tales and educational drama, nineteenth-century novels of domestic realism and adventure stories and contemporary detective fiction and fantasy novels. 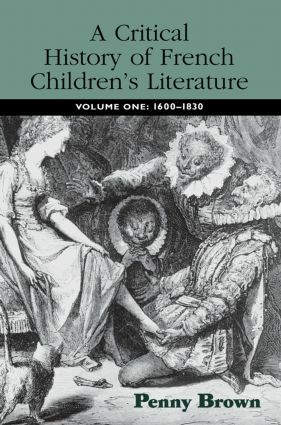 The discussion traces the relationship between children’s literature and social change, revealing the extent to which children’s books were informed by pedagogical, moral, religious and political agenda and explores the implications of the dual imperatives of instruction and amusement which have underpinned writing for young readers throughout the centuries.